However, talk to any music educator and you will find this is not the common understanding. Indeed, there feels as though there is a constant need to justify the benefits of music education to school leaders, parent, business managers and policy makers, often during the implicit or explicit threat of economic rationalization, time reallocation or space utilization. As a practicing music educator myself, but also as a research in neuroscience and music education, I find this conundrum equally fascinating and frustrating. A large part of my work is translating and transmitting the highly technical neuroscientific research findings so that music educators can both understand the findings and apply them to their own practice. Often this does not always mean changing our practice. In fact I have found far more often I have seen the neuroscientific research findings reinforce what music educators experience in their classrooms every day. As part of this work I have taken a keen interest in how music educators advocate for the value of what they do, and the value it holds for their students. What I have found is that often the research findings fall flat, the listener is not moved by the research. This makes me wonder about how it hit the bullseye more regularly, how we move our listen to reconsider their opinion. I wonder if we need to size up our bull better as well as improve our aim. I know this is an amusing visual, but I have found that a slightly off centre visual can be effective as a memory tool when you are next find yourself in an advocacy moment. Taking the visual away, I wonder if we need to target our advocacy, and the types of research findings we use, more effectively. Here are a few examples. Parents are interested in their child’s development, and sometimes their child’s level of musical talent. With this in mind it might be helpful to pull out research on music students have on average higher academic achievement and perform better on standardized test scores, music students have higher levels of executive function (or the ability to self-regulate their emotional and cognitive states) and musical talent is not as clear cut as “you have it or you don’t”. This final point relates to the new thinking that we are all born musical (as Kodaly said) as we use the music processing network to learn language. Above this base line ability is small measures of predisposition for music. This is not talent so much as an ease of learning and understanding music. If a student has a high level of predisposition to music but no access to music education, their musical abilities may well not be realised. If a student has a low level of predisposition but access to an ongoing and sequential music education program, their musical abilities will be enhanced. 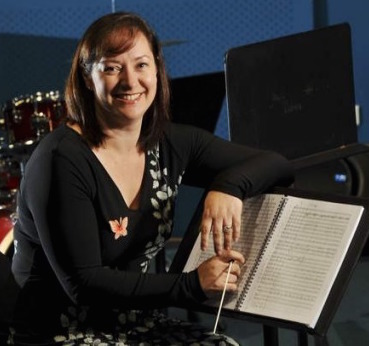 A common “fight” I hear between music and non-music educators is that students who leave class to go to a music lesson, or off on a music excursion, are missing out on the important things they are doing in their Maths or History class. In this case I wonder if research that compares the performance of students who leave class with those who don’t might just make them pause and think. Several large research studies have found that students who study music, and leave class to do so, perform better than those who don’t in both academic achievement and standardised tests. In essence, the students who leave class are raising standards in the class and allowing the class teacher time to focus more of their energy on a smaller number of students. The placement of music education as a core learning area is reasonably well supported. Recently in the US music education was maintained as a core subject in the Every Achieves Act. However the day to day experience of that support can be quite different. For example, who has experienced the scheduling of school photos, evacuation practices and vaccination at the same time as a music lesson? These are decisions, and indeed value judgements, made by school leaders on the value of music education for their students. However do they know the real cost of these decisions. Musicians have been found to achieve 7.5 points higher on IQ tests, which when put in context of an IQ score of 100 being average and 130 being genius, 7.5 points is a 20% improvement. Students who participate in music education programs in early childhood have higher levels of literacy and language acquisition and lower levels of ADHD. And this is not benefits for only the musically talented or smart students, music has been found to benefit all children, especially those from disadvantaged background. These targeted approaches may feel like selling our souls as music educators, but I like to think of it as refining our message and using the extensive resources available to us in the best ways possible. Size up your bull, choose your weapon and fire away. You may find it opens a door that was previously closed, and that is where all of your tried and true advocacy arguments can then be heard, and understood, anew. Kodály, Zoltán. The Selected Writings of Zoltán Kodály. Trans. Lily Halápy and Fred Macnicol. London: Boosey & Hawkes, 1974.